Since 2002 the National Digital Forum (NDF) Conference has benchmarked digital innovation in the Cultural Heritage space in Australasia. And this year’s 16th Annual Conference did not disappoint with an eclectic yet joined up collection of keynote speakers who comfortably interacted with our home grown and Australian talent. 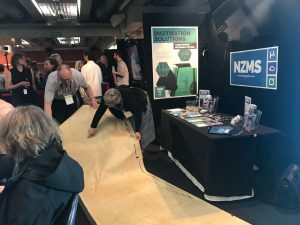 At NZMS we are dedicated to leading and growing digital interaction with culture and heritage and giving our support for the National Digital Forum. For this reason, it was extremely important for our team to interact with such a knowledge heavy conference. We sent along a dozen of our people to enjoy and participate in the workshops, panel discussions, demo’s and presentations that this year’s Forum had on offer. This conference clearly has punch with the keynotes extending their presence beyond the Forum to include Radio New Zealand interviews and talks in other cities. What better way to continue sharing their knowledge and expand their digital communities. And so it began, we were welcomed by Mayor of Wellington, Justin Lester, and ‘opened’ by our equally well informed new Minister, the Honourable Clare Curran (Communications and Digital Media, and for Government Digital Services). Clare gave the 300 strong audiences a rallying cry that got twitter murmuring positively around key themes for her portfolio. In short she covered working collaboratively, addressing digital divide issues, technology road mapping, a CTO for NZ, and recognition of GLAM sector initiatives for change (especially libraries). Our Northern Regional Manager, Alison Barnett noted “One theme that particularly resonated with me was Pia Waugh’s keynote about some of the principals that underpin her approach to creating more transparent citizen-driven policy and public engagement opportunities within Government. She talked about being careful that a policy design process wasn’t ‘iterating away from pain but rather towards a vision’. Through an engaging discussion of paradigm shifts, Pia encourages us to move away from the normative and bring a more formative approach to foster more innovation and collaboration. There was a strong theme at the conference of ‘Citizen Driven Digital Inclusion’ facilitated by Government and Cultural Heritage institutions, which is a good message for us all to take back to our organizations. At NZMS we intentionally built Recollect (community engagement software) as a formative, collaborative and innovative tool underpinned by the principles of access, discovery and engagement. This tool empowers citizens to engage with communities in a digital environment with historical and cultural collections at the centre of discussion. As contributors and participants in the GLAM sector we like the idea of being a ‘node in a network’ where we are able to convey, share & collaborate with others. We were grateful to received acknowledgment from Chief Archivist Richard Foy in his talk He Tohu – Taking Archives to the People for our work digitising the Treaty of Waitangi with excellence for the He Tohu Exhibition. We feel extremely privileged to have played our part in the digitisation of such a significant piece of New Zealand history. 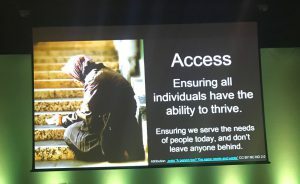 He Tohu received many references from presenters throughout the conference particularly drawing on the (digital) inclusion theme. Another great example of a collaborative approach to digital preservation is the very large format maps which have languished in Archives that are difficult to access, even more difficult to read, and very complicated to digitise. These historical New Zealand maps harness early settler graphical data which is currently in a format that is difficult to research and extract information given most maps are bigger than 2 metres square and are as fragile as they are large. Andy Fenton and Gavin Mitchell presented to an enthusiastic crowd about our experiences Surveying Our Past: Historic Surveys Mapped into a Virtual Landscape for Future Generations, the digitisation of very large format maps and how they are now accessible to LINZ and the wider public/community on http://maps.recollect.co.nz/. 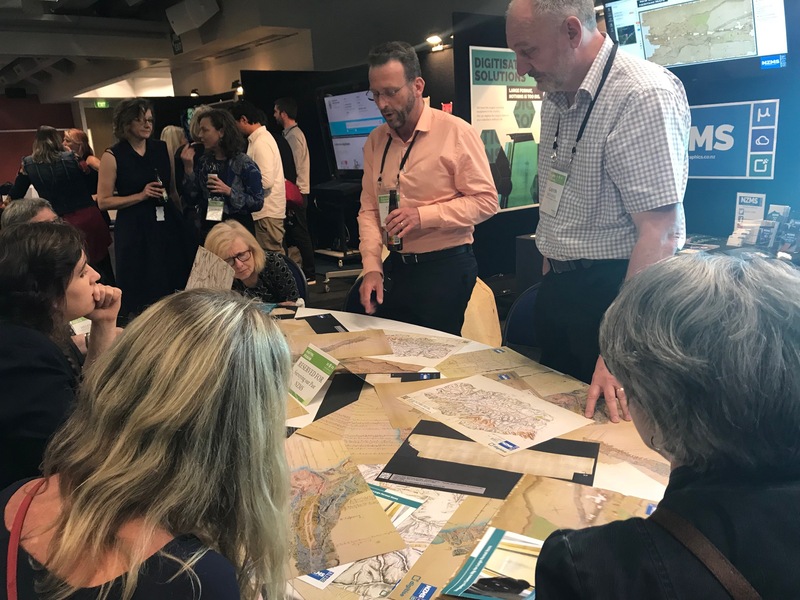 We were lucky to have Alison Midwinter from Land Information New Zealand join in on our discussion and offer further insights on the maps, the information they contain and how LINZ are caring for them and using this information that has now been digitally preserved. We brought with us a reproduction of a 7 metre long map which was a great way to show the scale of the maps we digitised on our custom built digitisation rig (think: digitising a small driveway). We soon realised there were many South Islanders at the conference with some of them recognising the areas of these south island maps. It was intriguing to see people connect and engage with this piece of history, sharing their memories and bringing the map back to life and into today’s conversation and experiences. These memories were spoken and intended to be shared, to learn from, and perhaps re-purpose the information. This sharing of information and adding to the knowledge of a piece of history is just how Recollect can function and encourage an inclusive digital community. The GLAM sector has strong beliefs in collaboration and contributing resources for the benefit of others. Whether that’s through collecting, preserving and curating or conserving, or through exhibiting, repurposing and reusing it’s all about preserving our past with a view to building a better future. We are very passionate folk who are invariably very committed to our work. One presentation touched on managing stress and preventing burnout in the digital sector which we think merits a webinar. But as keynote Andrea Wallace (Law Lecturer, University of Exeter) observed in her delightfully complicated presentation on rights management and “Openness as a philosophy”, that passion can extend to perceptions of cultural heritage curators being possessive or dictatorial about its re-use. They are there to protect and preserve collections and not be arbiters of taste (citing Dr Dina Vlachou) – the inference being we should give some control to citizen-led thinking here. And that got us thinking about collaboration across the sector. With cultural heritage peak bodies like National Library to about one knowledge network for New Zealand in their Strategic Directions to 2030 document its right to ask the question about what does real cross sector collaboration mean in the context of “New Zealand Inc”. Matthew Oliver from the Ministry of Cultural Heritage asked this question in the context of our fantastic online encyclopaedia Te Ara that becomes a shared expertise and knowledge gathering site supported by many rather than just what the Ministry says? We at NZMS like the idea of a joined up sector, and we thrive on collaboration, particularly bringing the capabilities available to larger institutions to the hundreds of smaller ones around New Zealand. We are also really passionate about any one community and their right to maintain their own identity, their own sense of being, and to control their own destiny. So, whether it’s one system to rule them all such as a community engagement platform, an asset management system, or a knowledge management system which all seem logical. But our preference is the rise of API’s (Application Programming Interface) and shared digital infrastructure where appropriate. Picture a cargo net spread across New Zealand Cultural Heritage Inc, where each intersection of the mesh is a node around a GLAM institution collection, notion or idea… And the strands between are where the API’s reside and are joining up those nodes and ensuring we can all discover, access, and engage throughout the cultural heritage space. We are but one node in a beautiful landscape of nodes which make up the network in our GLAM Sector. 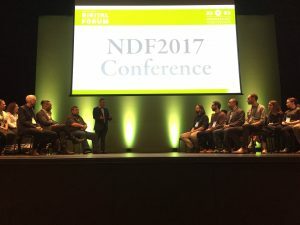 Our Managing Director, Andy Fenton has a long history with NDF and has recounted the many years of NDF with some poignant memories, key initiatives and history makers. More to follow on this soon.